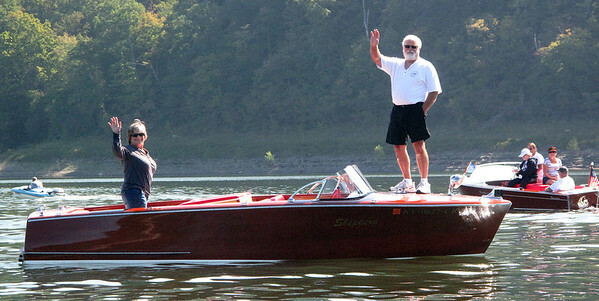 A few photos from the 2013 ACBS Bluegrass Chapter boat show at Lake Cumberland, KY. 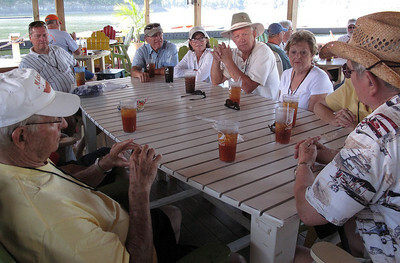 The event was held at the State Dock at Lake Cumberland State Resort Park. The photos were cropped for best appearance, and many will not fit standard photo frames. Pay attention to cropping options during checkout. Email me at bryan@onsiteimages.biz if you have questions. Starboard splash plume from a 1949 Greavette Runabout owned by Anne Baker Leazenby of Owensboro, KY. Photo from the 2013 ACBS Bluegrass Chapter Show at Lake Cumberland, KY September 26-28, 2013. 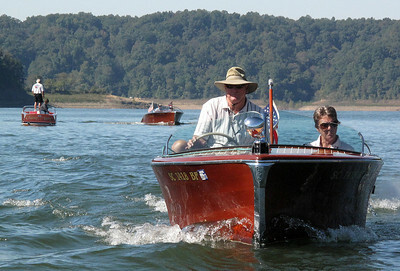 Anne Leazenby checks out the passing landscape as she guides her 1949 Greavette Runabout upstream on Lake Cumberland, KY. Photo from the 2013 ACBS Bluegrass Chapter Show at Lake Cumberland, KY September 26-28, 2013. Robert Will pilots his 1972 Wooster Hellion ahead of the rest of the poker run contestants. The boat was built by the Rubbermaid Corporation, and only 500 were manufactured. Photo from the 2013 ACBS Bluegrass Chapter Show at Lake Cumberland, KY September 26-28, 2013. Tater checks out incoming traffic while waiting for owner Art Hampton to pick up a new card during a Poker Run at the 2013 ACBS Bluegrass Chapter Show at Lake Cumberland, KY September 26-28, 2013. Several boats make their way out of the dock area and onto the main lake during a poker run on Thursday of the 2013 ACBS Bluegrass Chapter Show at Lake Cumberland, KY September 26-28, 2013. 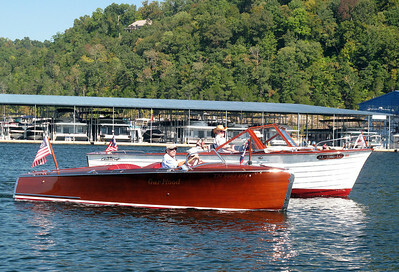 Rodger Brown and wife Lisa, left, in their 1939 Gar Wood ride alongside Don and Charlotte Baker in their 1960 Chris Craft Sea Skiff as they leave the docking area toward Lake Cumberland. Photo from the 2013 ACBS Bluegrass Chapter Show at Lake Cumberland, KY September 26-28, 2013. 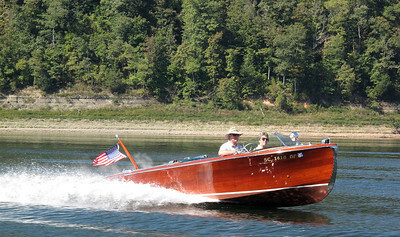 Wayne and Alice Forbis tool along in their 1958 Chris Craft Continental after obtaining a card in the Friday poker run. 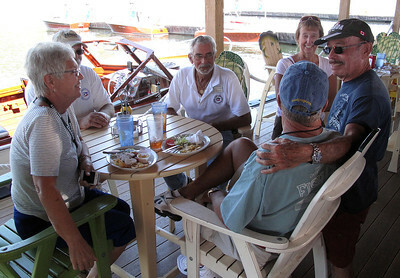 Alice's father bought the boat new, and Wayne proposed their marriage on the boat! Photo from the 2013 ACBS Bluegrass Chapter Show at Lake Cumberland, KY September 26-28, 2013. 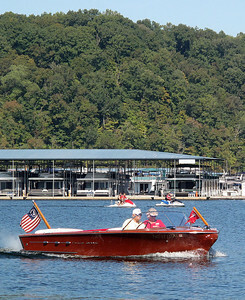 David and Valerie Bowman blast across Lake Cumberland in their 1955 Century Resorter on their way to pick up a card during Friday's poker run. Photo from the 2013 ACBS Bluegrass Chapter Show at Lake Cumberland, KY September 26-28, 2013. 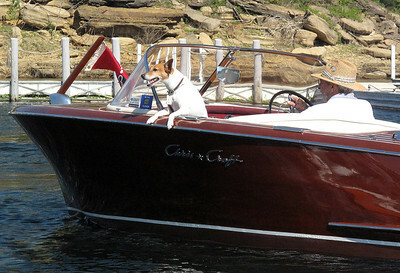 Bob Laubrick in the 1957 Century Coronado he got for his 50th birthday. Its name - Timeless. Stephanie Hall, Bob's wife, sits atop in the sun. Photo from the 2013 ACBS Bluegrass Chapter Show at Lake Cumberland, KY September 26-28, 2013. 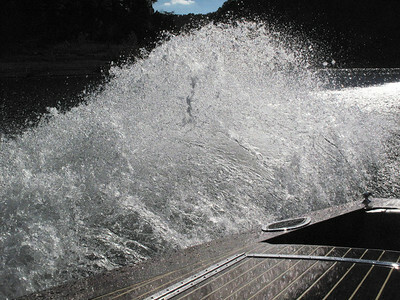 Stephanie Ryan veers toward the lake shore to avoid the wake of boats ahead of her during a poker run at the 2013 ACBS Bluegrass Chapter Show at Lake Cumberland, KY September 26-28, 2013. 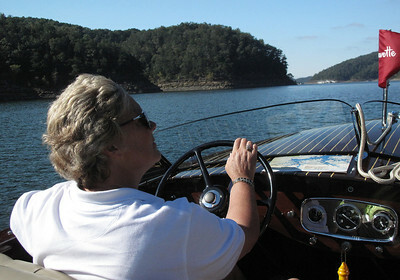 Stephanie Ryan steers Sunburn, a 1960 Dorsett Catalina, back into the wake during a poker run on Lake Cumberland. Sunburn was awarded the Best Fiberglass, and the People's Choice awards at the show. 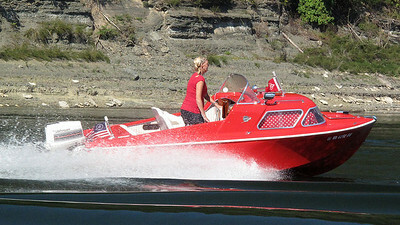 Photo from the 2013 ACBS Bluegrass Chapter Show at Lake Cumberland, KY September 26-28, 2013.
john and April Heiderich pilot their 1949 Century Seamaid on Lake Cumberland during a poker run. Photo from the 2013 ACBS Bluegrass Chapter Show at Lake Cumberland, KY September 26-28, 2013. Photo from the 2013 ACBS Bluegrass Chapter Show at Lake Cumberland, KY September 26-28, 2013. 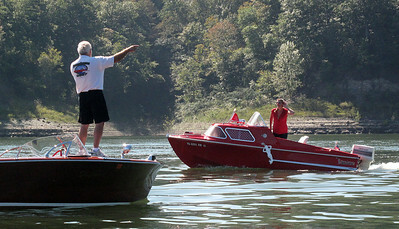 Linda and Ray Gilker wave from Classy Lady, their 1955 Shepherd, while directing traffic toward a stop on a poker run on Lake Cumberland. Photo from the 2013 ACBS Bluegrass Chapter Show at Lake Cumberland, KY September 26-28, 2013. 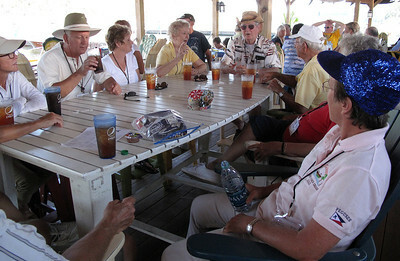 Ray Gilker gives directions to Stephanie Ryan as she approchaes Alligator 2 marina during a poker run. Photo from the 2013 ACBS Bluegrass Chapter Show at Lake Cumberland, KY September 26-28, 2013. 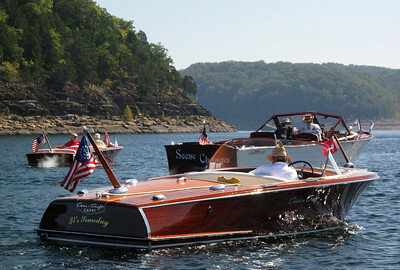 John and April Heiderich pilot their 1949 Century Seamaid toward another stop on Lake Cumberland during a poker run. Photo from the 2013 ACBS Bluegrass Chapter Show at Lake Cumberland, KY September 26-28, 2013. 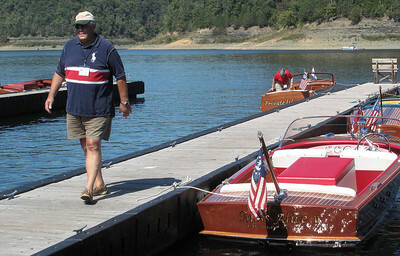 Ladd Bovey walks up the dock at Wolf Creek Marina to pick up another card during a poker run on Lake Cumberland. Photo from the 2013 ACBS Bluegrass Chapter Show at Lake Cumberland, KY September 26-28, 2013. 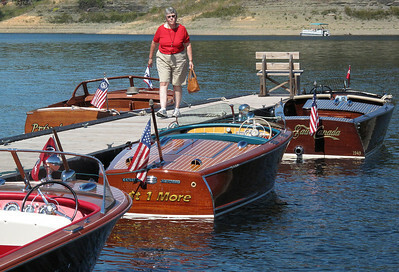 Natalie Bovey walks up the dock at Wolf Creek Marina to pick up another card during a poker run on Lake Cumberland. Photo from the 2013 ACBS Bluegrass Chapter Show at Lake Cumberland, KY September 26-28, 2013. 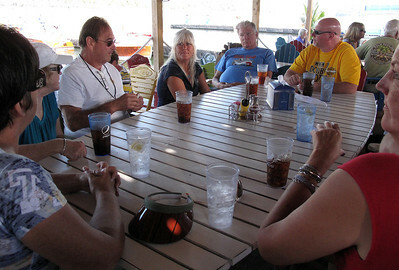 Lunch break at Wolf Creek Marina during the poker run Thursday at Lake Cumberland. Photo from the 2013 ACBS Bluegrass Chapter Show at Lake Cumberland, KY September 26-28, 2013.